Enter to win a pair of Rayban Wayfarer Sunglasses! Like us on Facebook and you could win one of two pairs of non-prescription Rayban Wayfarer Sunglasses worth $190. 2) Leave a comment with ‘Almonte’ or ‘Gloucester’ for your preferred location. Two names will be chosen! One from our Gloucester clinic, one from Almonte. Contest closes January 31st, 2018. Winners must be able to visit either our Almonte or Gloucester clinics by appointment in order to claim their prize. The prize has no cash value and no substitutions may be requested. Winners will have 48 hours to respond to a Facebook message indicating they have won; if we do not hear back in that time frame, we will draw new names. It’s up to entrants to ensure that they monitor their own Facebook account and messages and can respond in a timely manner. Winners will have one month (30 days) to arrange an appointment to collect their prize. 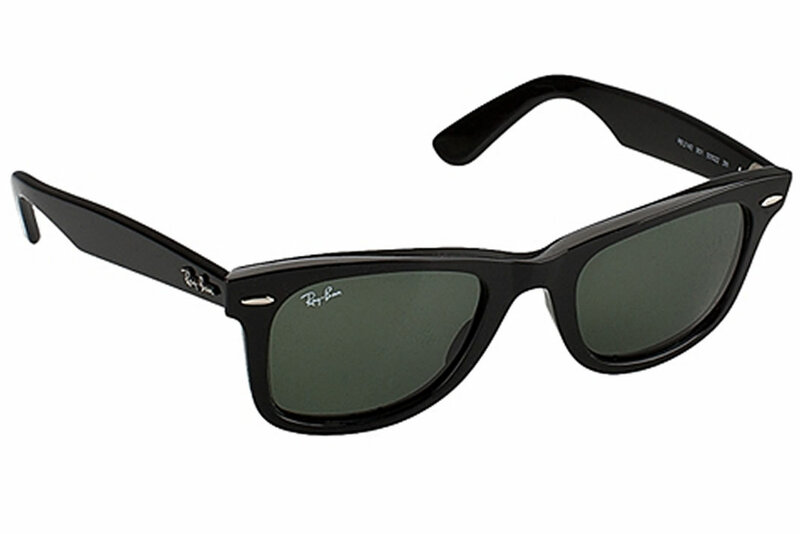 Ray-Ban Original Wayfarer Black G-15XLT Sunglasses convey a classic sophistication that never goes out of style. In addition to making a timeless statement, these sunglasses feature G-15XLT lenses to protect your eyes from 100% of the sun’s harmful UV rays. This contest is in no way sponsored, endorsed or administered by, or associated with, Facebook and all entrants/participants release Facebook from any responsibility. This contest is the sole responsibility of Gloucester & Almonte Family Optometrists.